We were caught a little off guard a few weeks ago when Toshiba announced they’ll be ending their Telecommunication Systems Division. We knew that Cloud-based services were quickly taking over both SMB and Enterprise solutions, but we did not expect a big player like Toshiba to make such a drastic move. As Channel Partners originally reported, many felt they were “blindsided” by the decision. Thankfully, for those using Toshiba solutions, the provider promised to extend some of their coverage and support. However, extended support won’t last forever. And while many feel abandoned, a better way to view the situation would be with the glass half full. With such a drastic change, now might be the right time for your business to ditch the on-premise IP solution and migrate to a fully hosted Cloud PBX provider. Of course, the shopping part can be daunting, but that’s why we’re here to help. Wait, What Happened to Toshiba? In March, news broke that Toshiba would be terminating its IP business telephone systems division. Toshiba said they would begin to “wind down” operations immediately, so it’s safe to say they are trying to rip the band aid off in one quick motion. Toshiba is withdrawing from the IP and UC market. This includes both on-premise IP business phone systems and the VIPEdge Cloud solution. Toshiba Canada will be announcing a wind-down as well, and TSD will no longer be selling service in Mexico. Existing partners can submit new orders through May 22, 2017, but new orders will be subject to existing inventory and availability. So if you are searching for a new solution, while it might be possible to order hardware on a discount, it might also be a better idea to shop elsewhere. After all, the old school IP PBX and on-premise solutions are shrinking in adoption for a reason. Older tech has simply been replaced by a new method, and in this case, that means moving your IP phone solution into the Cloud. But what if you already use an existing TSD solution, either on-premise or the Cloud VIPEdge Service? Thankfully, Toshiba included some information in their letter on that as well. If your business currently relies on a Toshiba solution, as many do, I’m sure your office might be in a bit of a panic already. Before you frantically search for a replacement system or comparable solution, there’s a few key details worth highlighting. Of course Toshiba recognizes how massively detrimental it would be to existing businesses if their systems just stopped working. 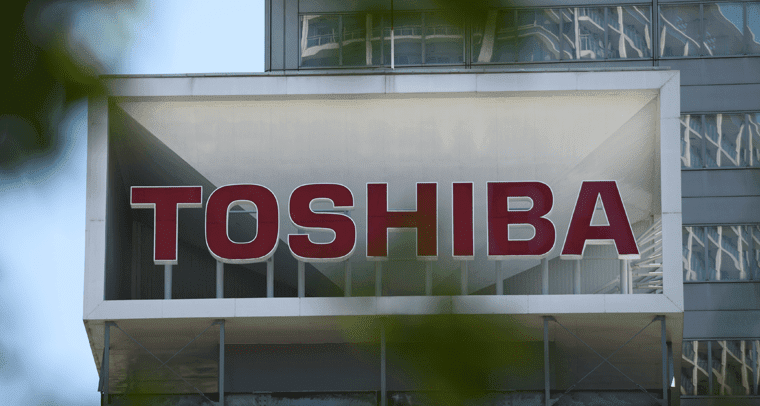 Even withdrawing on warranty promises could be a massive headache to existing customers, so Toshiba isn’t entirely keen on pulling the plug without any support. TSD will continue to support existing dealers and partners in all warranty and maintenance obligations to customers. So if your business sees no reason to migrate, and there are still has a few years left on that system’s warranty, don’t panic too much just yet. VIPEdge Cloud Service customers will (in accordance with contract terms) still receive their support from TSD. TSD will support its contracts until they expire, so again, your business might not have to jump ship just yet. It might make more sense to ride out an existing contract and begin researching alternatives for when the time comes. However, if your team does want to switch, TSD will also be waiving the early termination fees for existing VIPEdge customers. Again, if your business is an existing customer of TSD — whether that means an on-premise solution or the VIPEdge cloud service — the sky won’t be crashing down in the next few months. Yes, the move was a big shock to many invested in the current solutions. However, Toshiba is allowing businesses some breathing room to make sense of the situation, and decide their next move without having to panic buy a new system right away. But like I said, if your team is still sitting on an old school in-house IP solution, your business could and probably should leverage this situation as an opportunity to cut costs and switch to a much more capable Cloud solution. At this point, speculation and rumors are swirling around — but speculation is just that. However, there have been some recent reports of shaky ground at some of Toshiba’s other divisions. In fact, back in February, Bloomberg reported how the company lost $6 Billion from its Nuclear business. On top of this, Toshiba was also looking to sell a majority of their chip and memory business. Bloomberg reported that Toshiba is now a “shell of itself,” losing major aspects of the company, as well as having the Chairman step down after only nine months. So, while anyone’s guess is as good as ours, evidence seems to point in the same direction. While current customers don’t have to abandon ship in a flurry of panic, this is still definitely a good time to feel out the market. Whether your business is hoping to continue utilizing an in-house approach with on-premise IP hardware, or switch to a Cloud solution, there are a number of options out there worth considering. At this point, on-Premise is considered to be fairly old school. Most providers are phasing out their on-premise solutions, or at least shifting weight from one leg to the other. 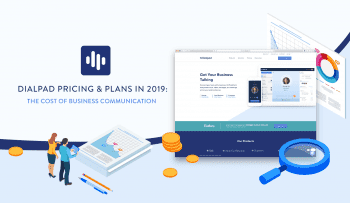 Even Mitel made it clear during their annual Analyst Day this year that the provider is moving towards a Cloud-first digital focus. At some point, we’ll most likely see the vast majority of businesses move to Cloud solutions; however, at this point it still does make sense for an Enterprise business to rely on an in-house solution. If your business is a massive Enterprise with multiple locations around the country or globe, then there are still some big, reliable names that can handle your needs. Mitel, as I mentioned above, is shifting focus to a Cloud first solution; however, they still offer and supply full support for on-premises solutions. As a comparable replacement for Toshiba IPedge customers, Mitel’s MiVoice solutions hits the right points. MiVoice helps marry the on-premise solution with robust Mitel software for extra features like Collaboration, Video Conferencing and even unified messaging. ShoreTel, one of Mitel’s closest competitors, would be another great choice for a Toshiba IPedge comparable solution. With both CONNECT Onsite and SIP Trunking product offerings, ShoreTel should have your business covered. ShoreTel also includes useful features like collaboration apps, standard business features, and integrations that expand the solution to play with your other apps and software. Avaya had a bit of a rocky end to 2016, but it has emerged on the other end with an interesting foundation to build off of. 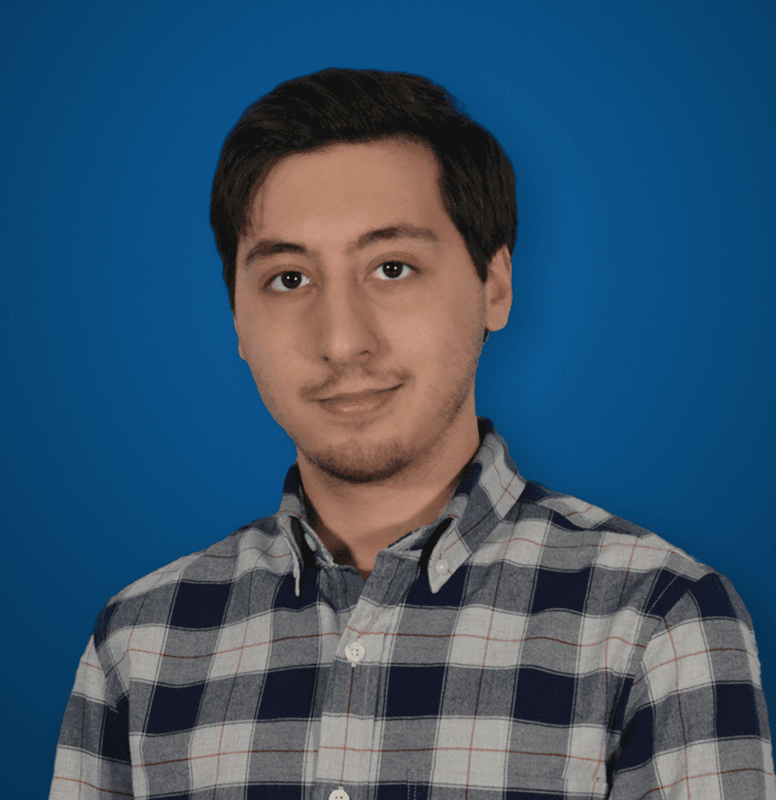 More recently, we saw the introduction of Zang Spaces — SMB Cloud-focused solution. However, Avaya’s IP Office Platform still stands strong as well for any business wanting a proven on-premise IP solution. Cisco has always been a leader in almost anything network or telephony related. Recently, Cisco has been pushing hard for a collaboration with Spark and the Spark Board, but they haven’t lost site of their roots either. From small to Enterprise, Cisco has a solution for your team. Unify has actually been ranked by Gartner as a Leader in their Magic Quadrant for Corporate Telephony. Ranked as the fifth largest global corporate telephony vendor, it’s safe to say that Unify won’t follow a similar fate of Toshiba anytime soon. They also have you covered for both massive Enterprise and SMB solutions. When it comes to cloud providers, your business will definitely have a much greater selection of options to choose from. 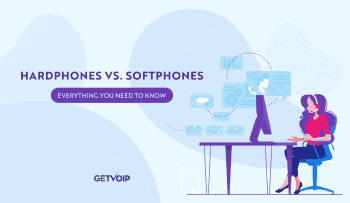 While we do have an entire page that focuses specifically on cloud providers for Business VoIP, we wanted to take the opportunity to highlight what we feel are some of the best solutions available today. Switching to the cloud might seem daunting at first, but the entire benefit here is that the heavy lifting is completed by the provider. No longer will your business have to install expensive in-house hardware and maintain said hardware. With your services hosted on the provider’s cloud network, everything is simple, scalable, and easy to configure through a web portal. You can even take a look at some of our head to head articles that help break down specific provider comparisons. Nextiva is known for their award-winning customer service. With recent developments, such as the cloud-first NextOS, as well as a history of providing excellent service, Nextiva is generally one of our go-to providers for any business searching for a cloud first solution. Vonage Business is the same name you’ll recognize as the popular home VoIP service. Leveraging their existing knowledge and expertise, Vonage has pushed into the business market with one of the most competitively priced solutions. Vonage has also recently partnered with Amazon to offer users a free Amazon Chime subscription for UC and conferencing on top. RingCentral is also known as a leading Cloud Business Communications provider and a close competitor of Vonage Business. You can check out our head-to-head comparison, but RingCentral also stands as an affordable and robust solution with unique extras such as Glip and unlimited faxing. Mitel has been moving towards a cloud and digital focused solution, but it still offers their current existing MiCloud solution. It offers the same great features and service as the on-premise solution — it just delivers them over the cloud with no expensive hardware to maintain. Jive is another popular choice, especially for the business that prioritizes support. With 100% US-based support, your business can rely on Jive support if something ever goes wrong. Jive also doesn’t bog customers down with contracts, which keeps everything flexible and easy to manage. At this point, if your business is one of the unlucky many stuck in this situation, the best way to spin this would be to adopt a new modern standard. Cloud-focused solutions have been pushed into the mainstream already, and they will continue to stay and grow. Utilizing old technology is not only limiting in the ability to grow and scale, but also expensive and a security nightmare. Cloud solutions are quickly replacing their on-premise counter parts, and many providers fully recognize this major shift. In terms of what lies ahead for Toshiba, we will have to wait and see. However, for existing users — while you might not be in hot water just yet — now is the time is to start feeling out the market, and look for anyway your business can leverage new technologies to gain an edge.